POSITIVE interactions with families are incredibly important. 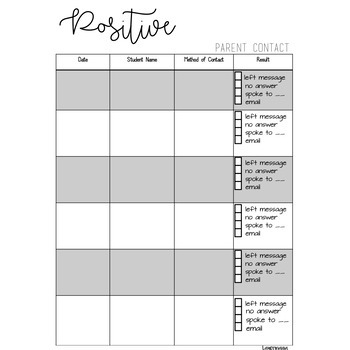 This form serves as not only a reminder, but also can help you track your interactions for your evaluation. I like to print one of these for each student. 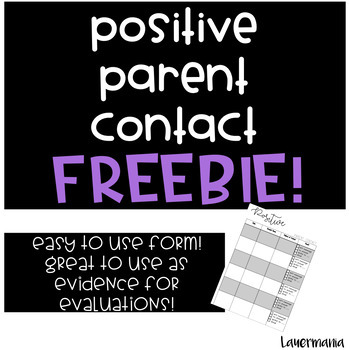 I like to reach out to each family at least once a month with something positive about their student.